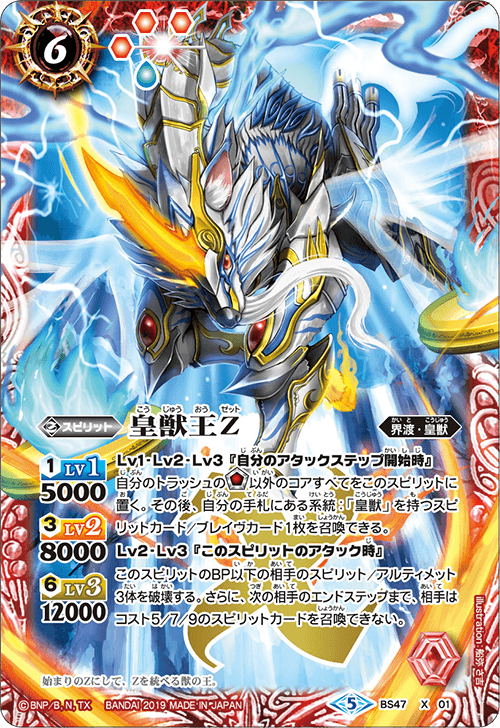 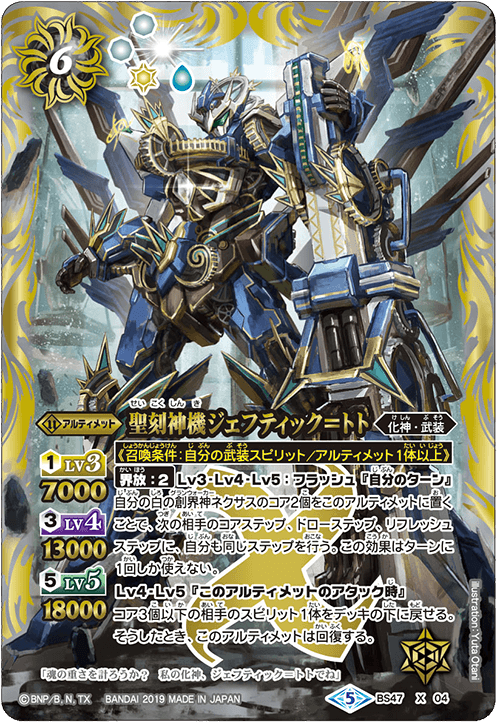 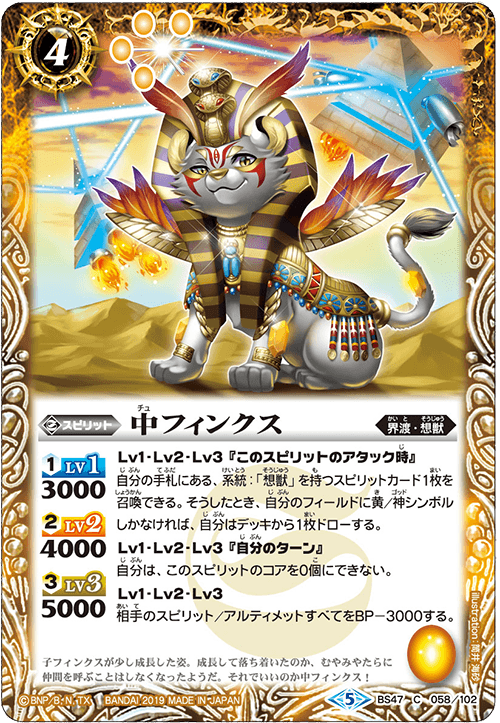 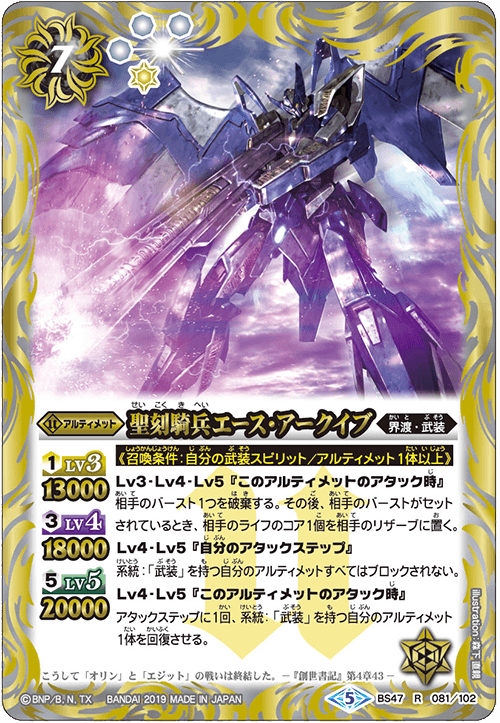 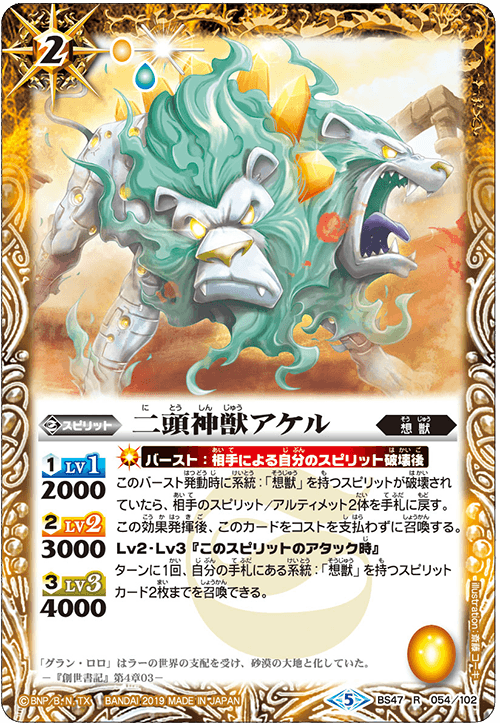 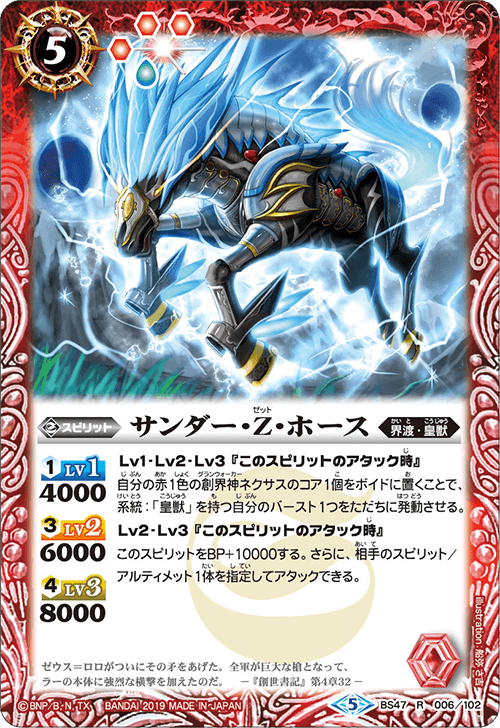 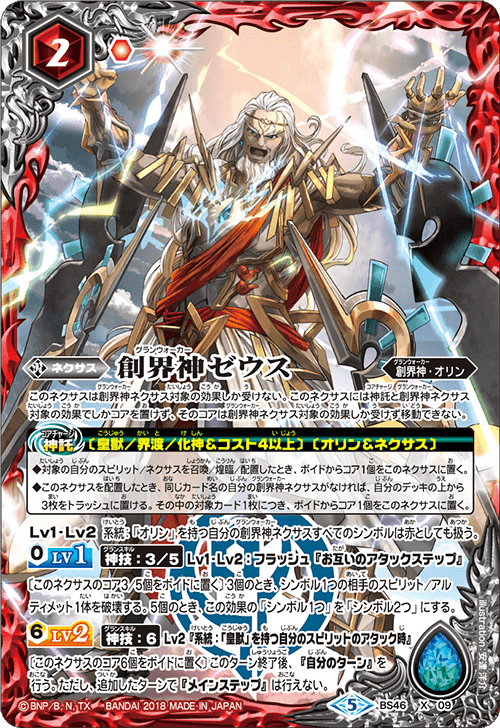 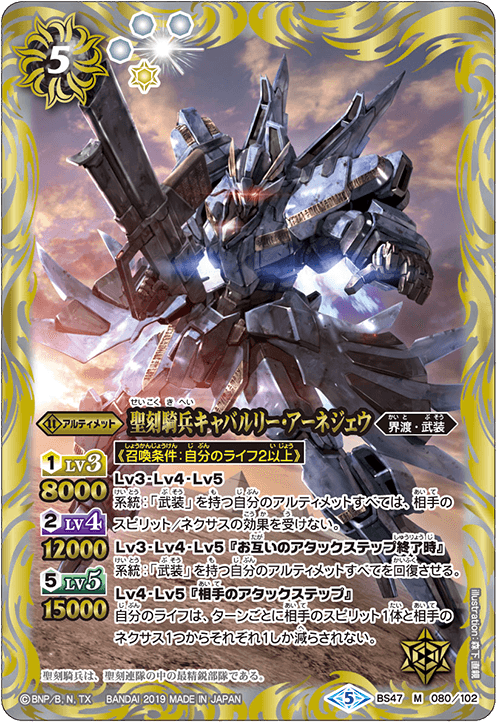 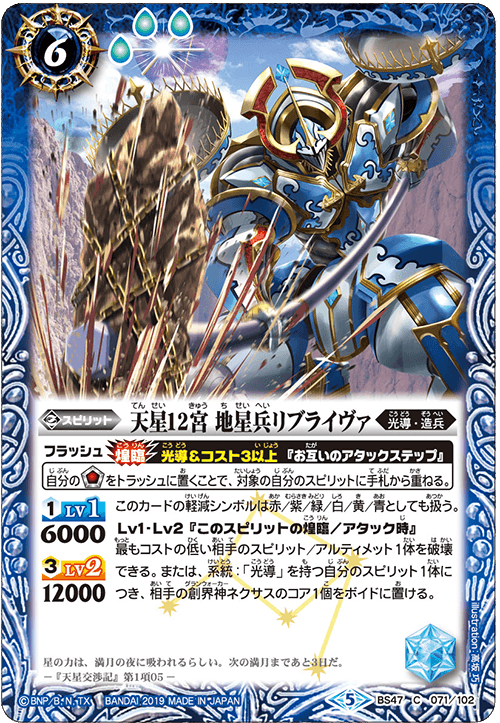 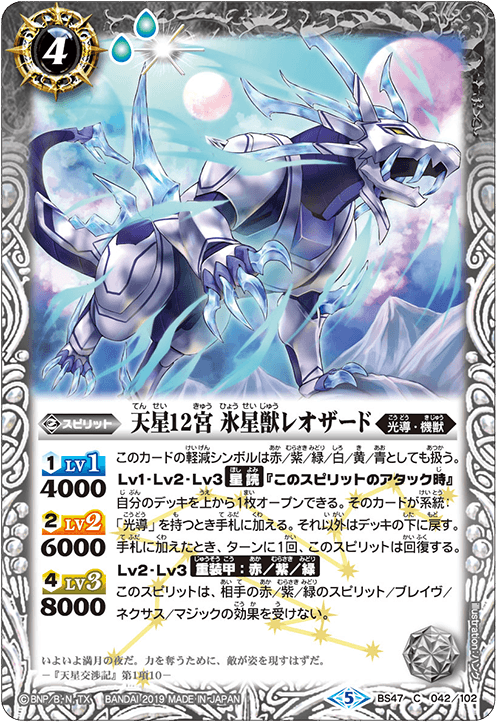 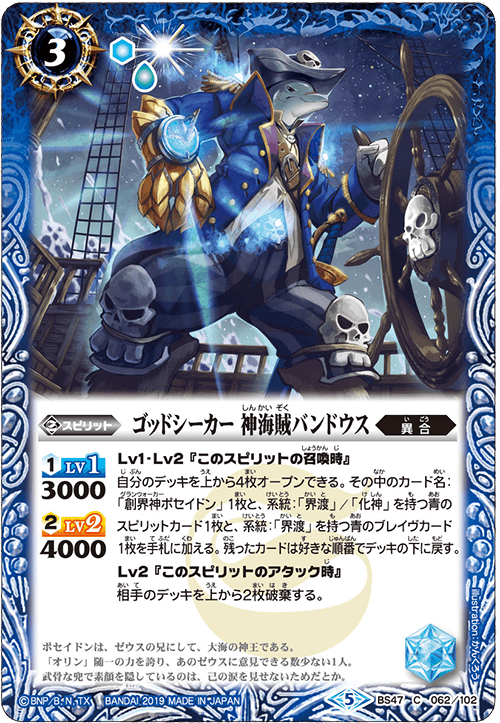 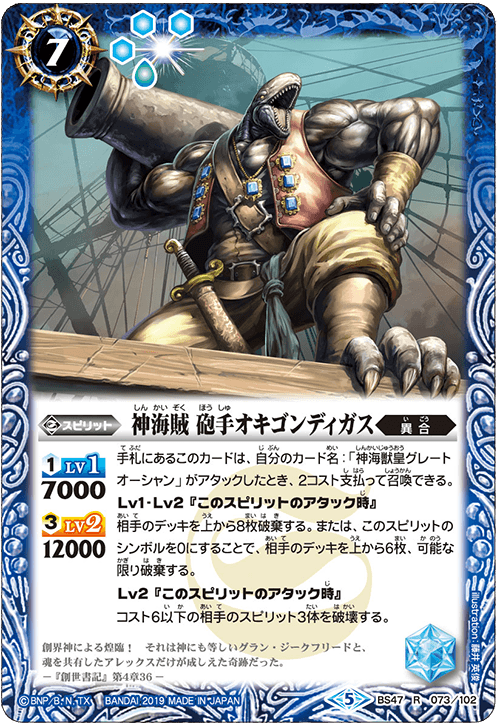 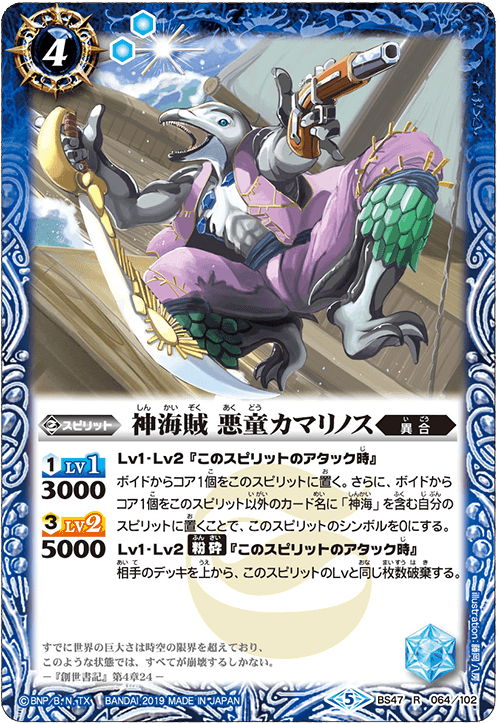 The Emperor Beast deck commanded by [GranWalker Zeus] has added brand new cards and further strengthen! 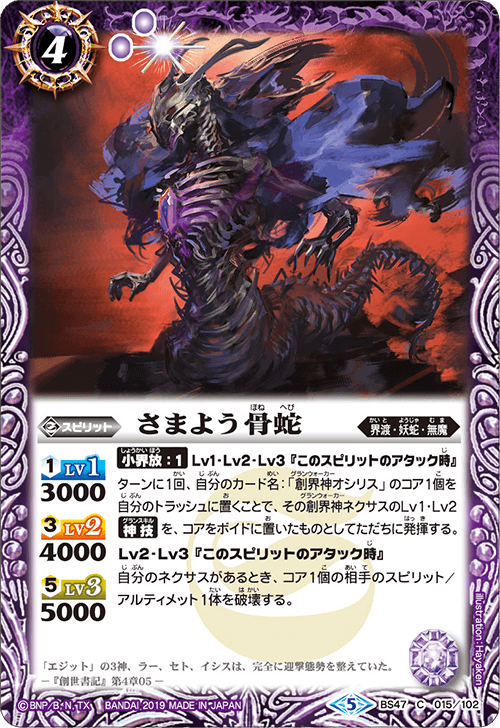 Use cards containing the name [Z] from family: ‘Emperor Beast’ to suppress your opponent! 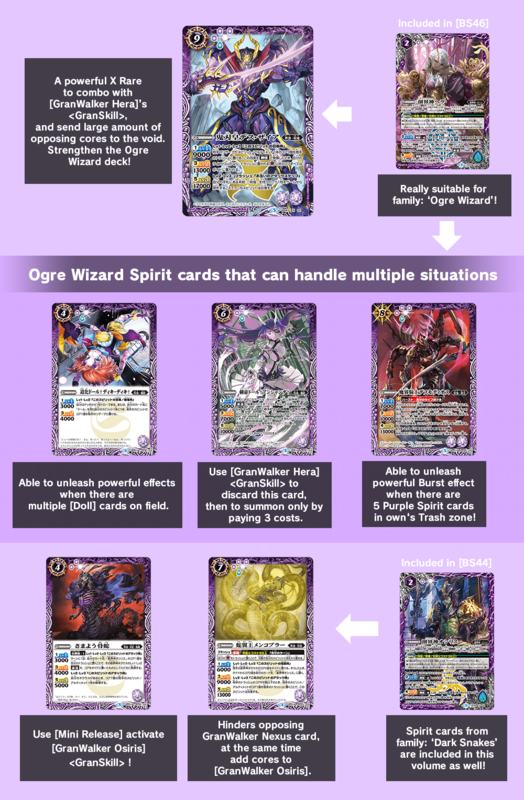 Included many ‘Ogre Wizard’ Spirit cards to support [GranWalker Hera]. 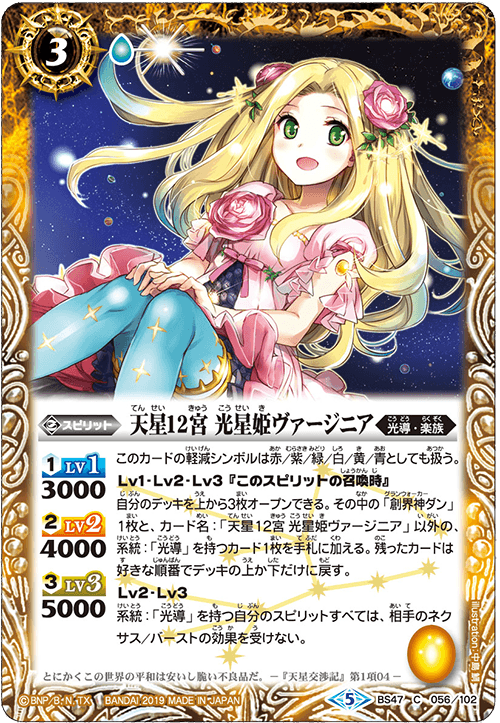 Cards containing the name: [Doll] has become more powerful! 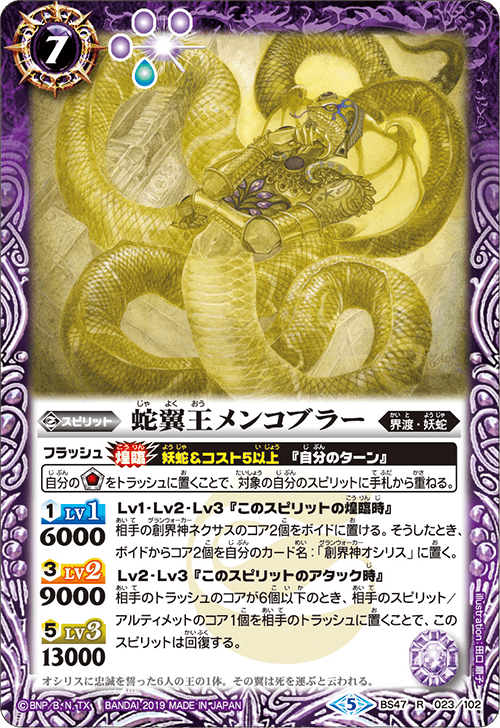 And it also include cards from family: ‘Dark Snake’, do try building a [GranWalker Osiris] deck! 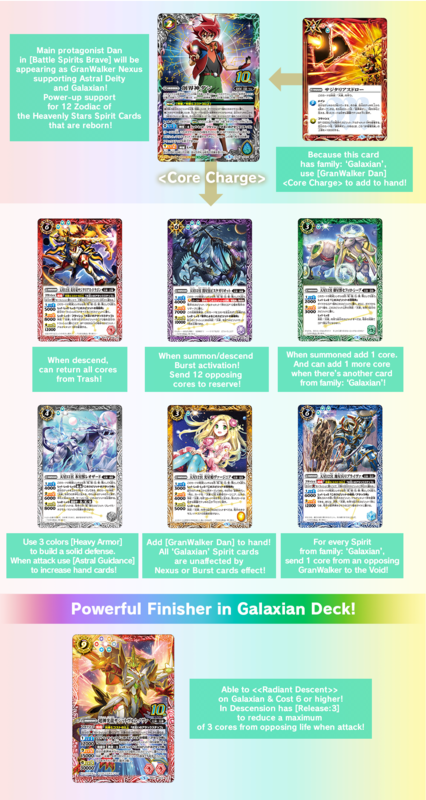 Utilize 12 Zodiac of the Heavenly Stars Spirit Cards! 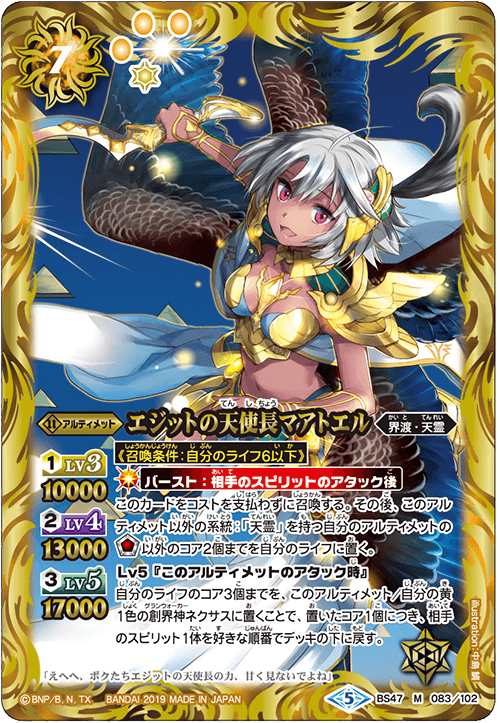 The 12 Zodiac X Rares in [Battle Spirits Brave] appears as the 12 Zodiac of the Heavenly Stars! 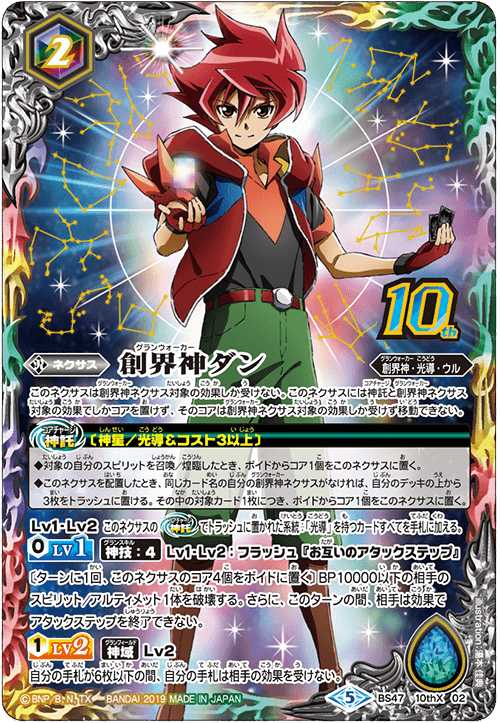 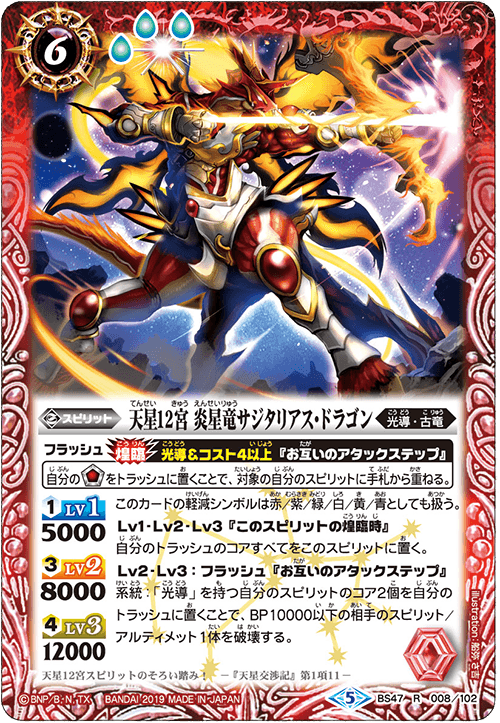 Furthermore, it has also included [The Super Shine Dragon, Sagittowurm Nova] which had gathered the power of family: ‘Galaxian’ ! 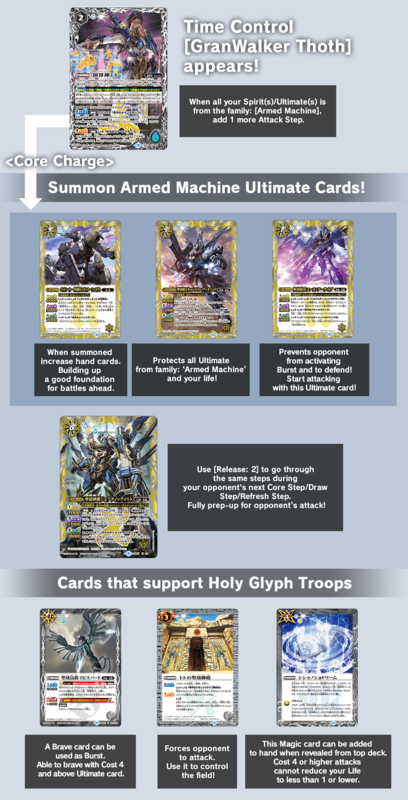 Build a deck with [GranWalker Dan] as its key! 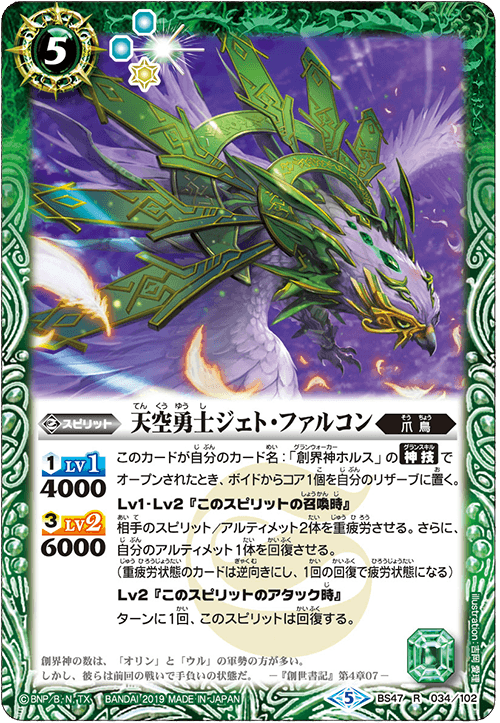 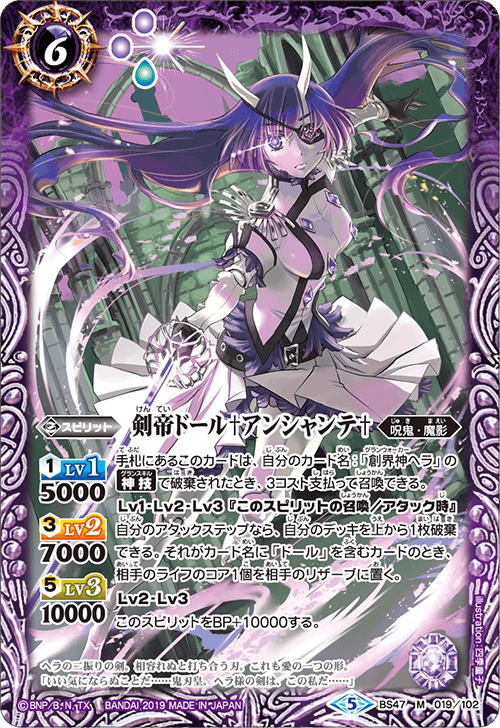 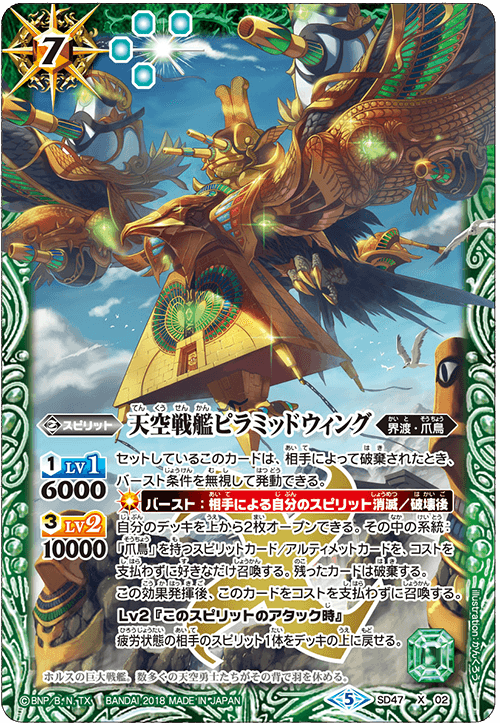 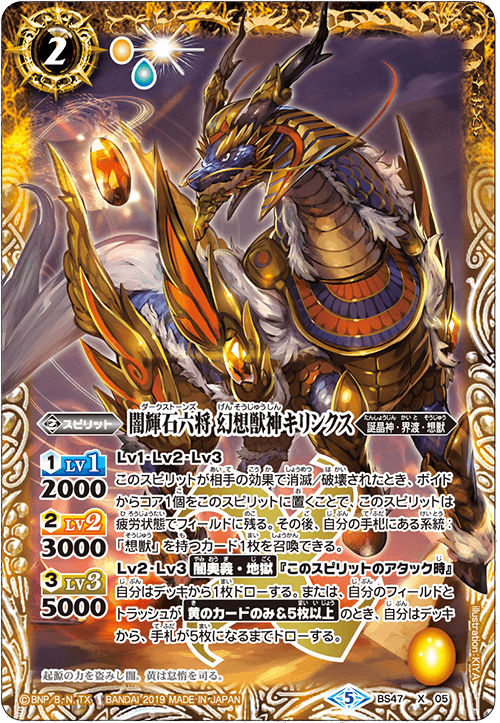 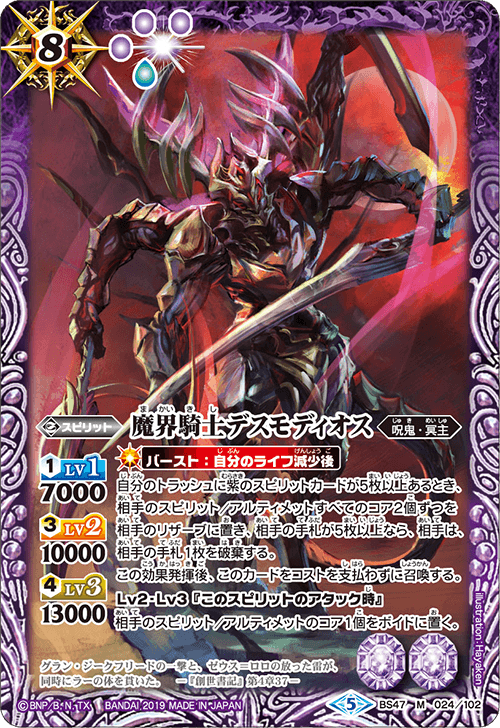 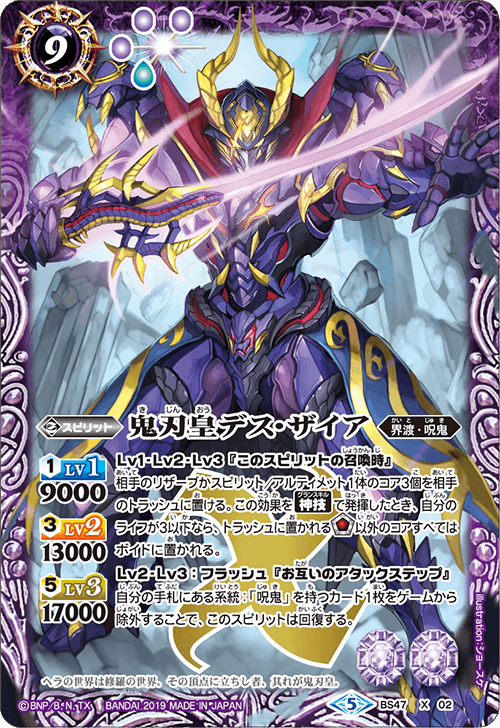 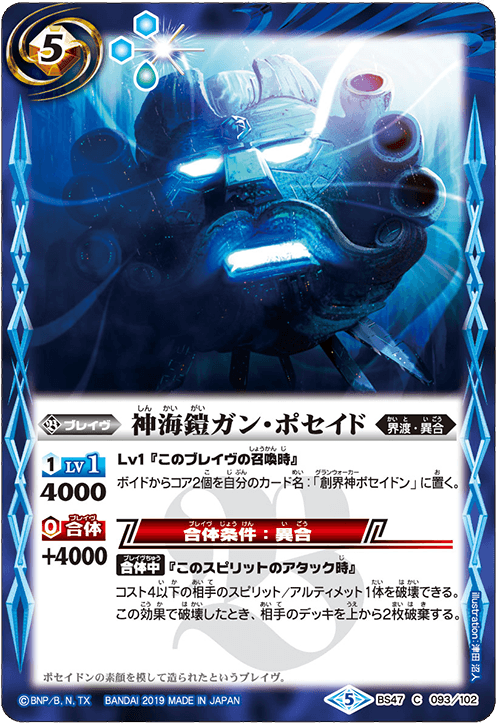 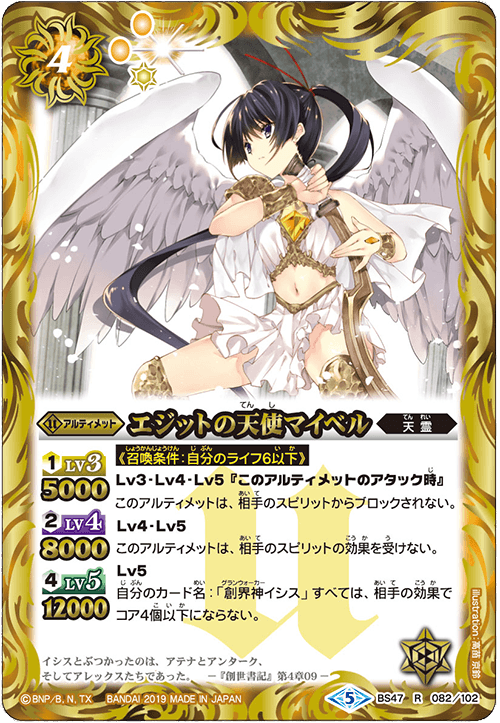 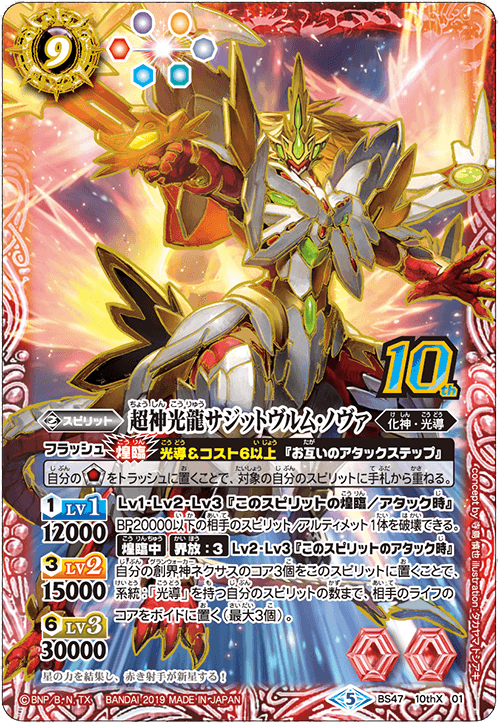 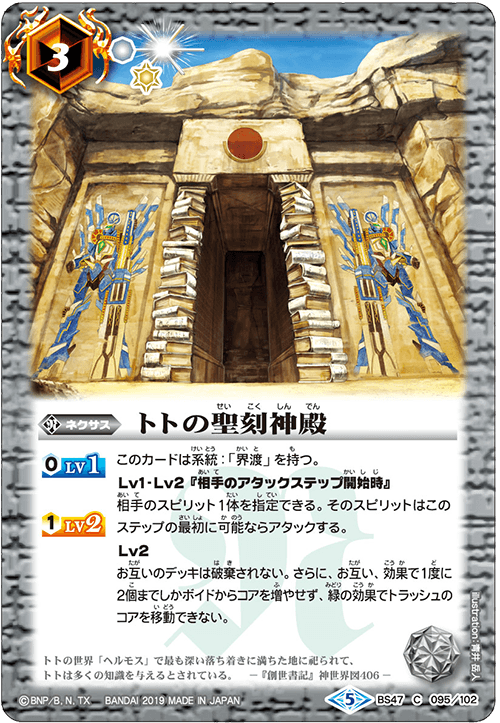 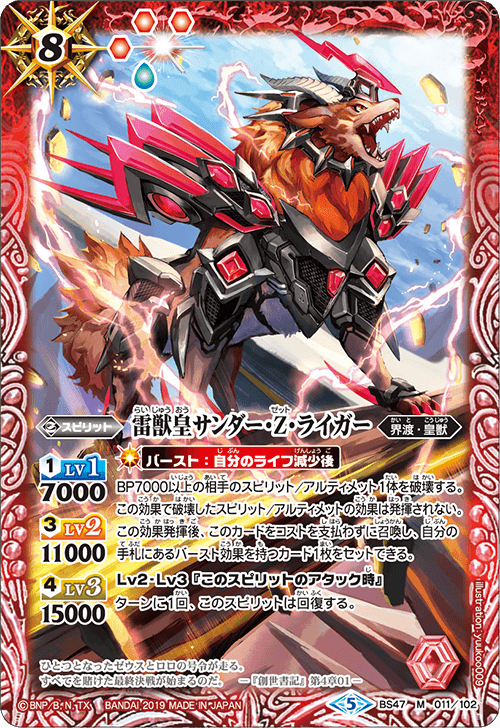 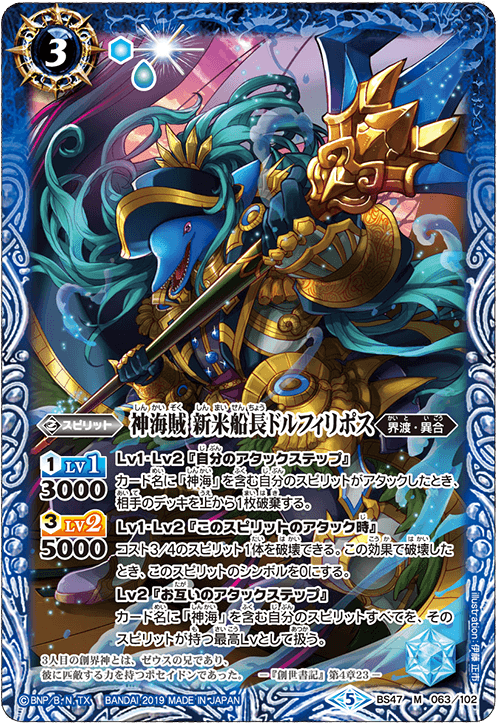 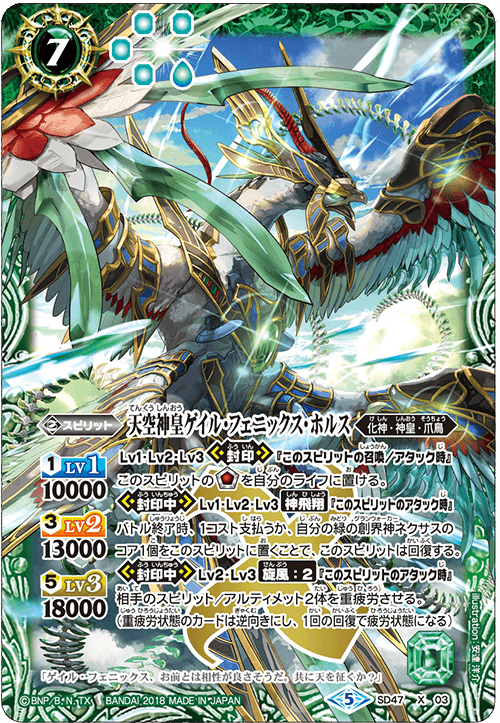 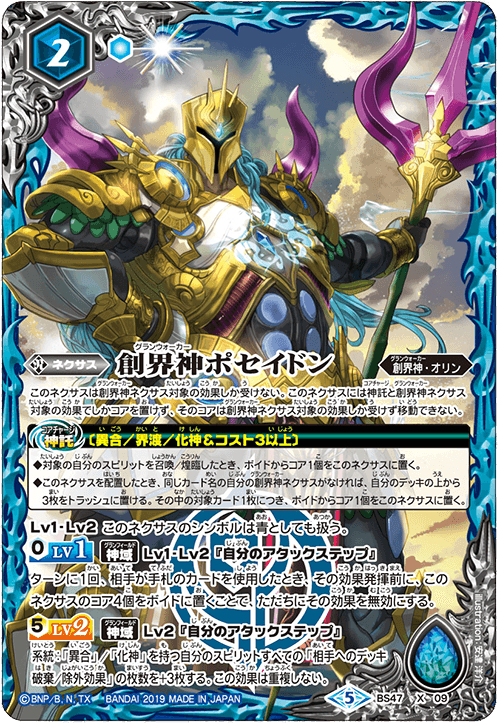 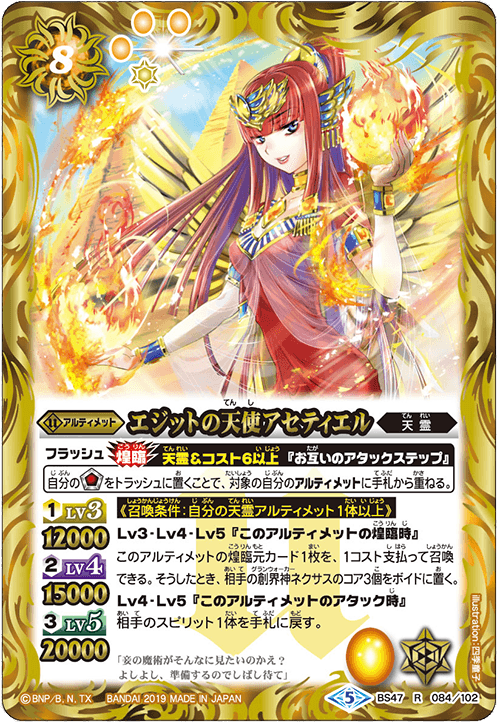 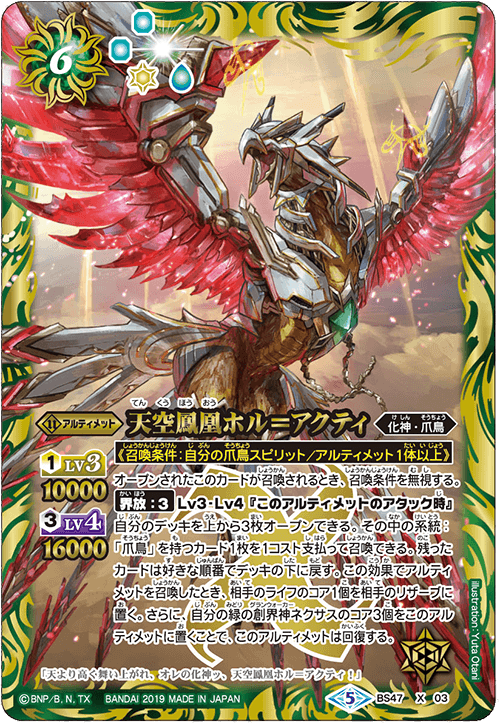 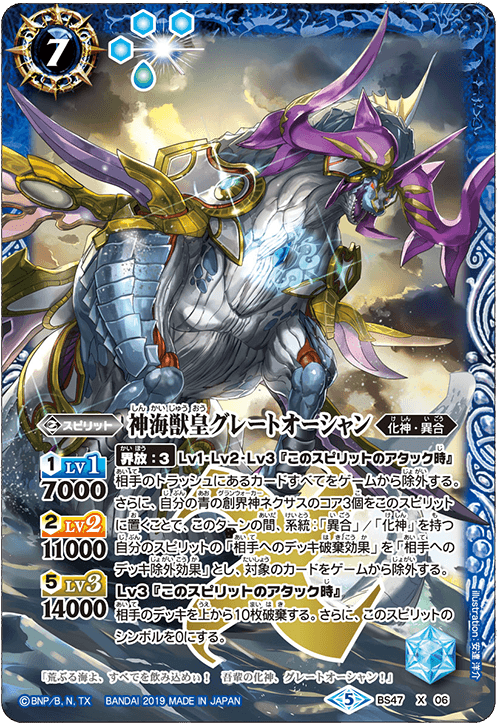 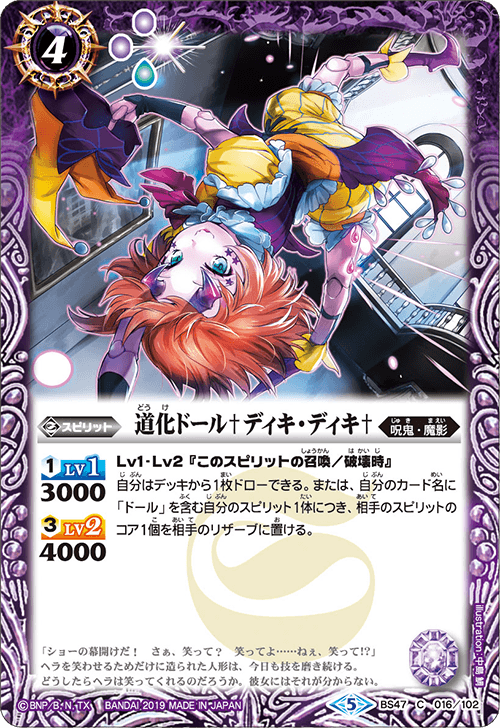 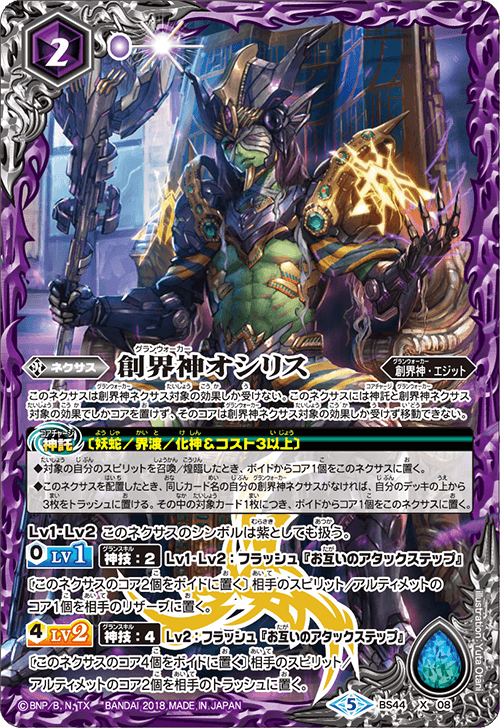 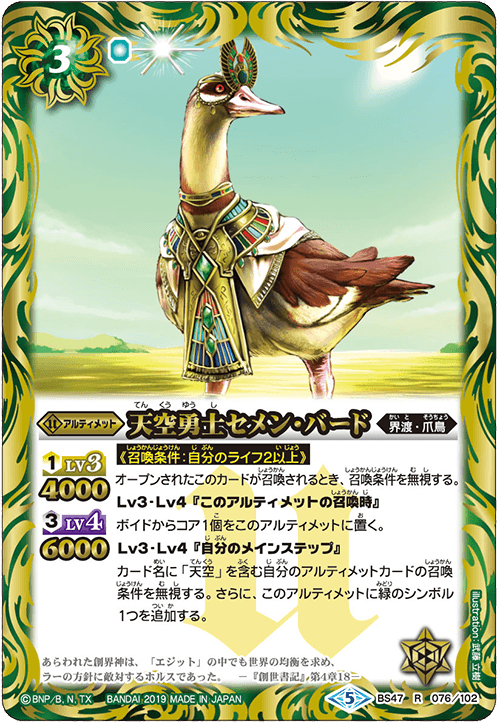 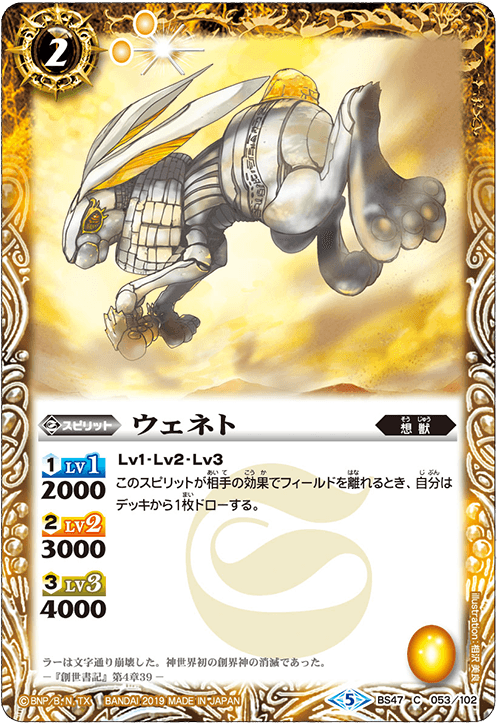 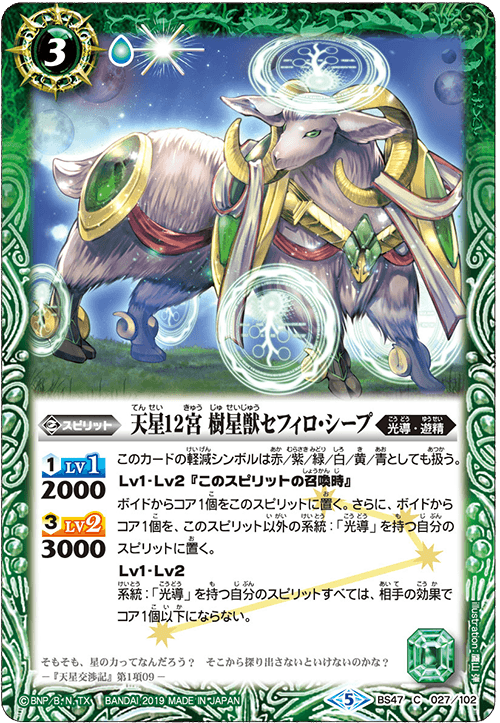 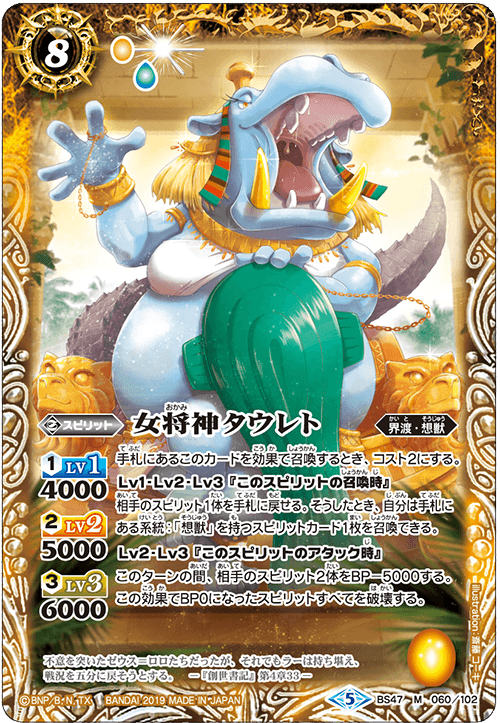 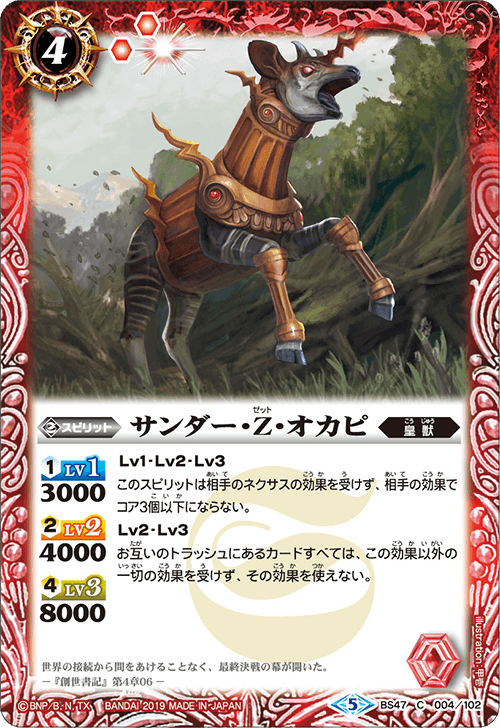 Family: ‘Imaginary Beasts’ supported by [GranWalker Ra] appeared in [BS46] Gran Radiant Descent Vol.3 Fate of the Gods has been powered up one step further! 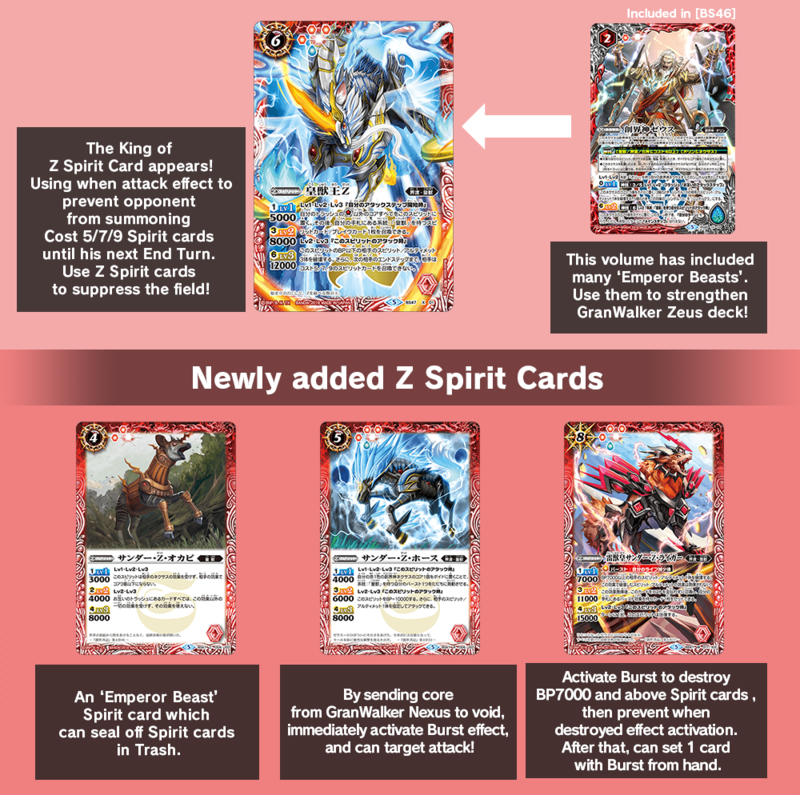 Cost 2 Spirit cards allow multiple choices, enriching battle strategies! 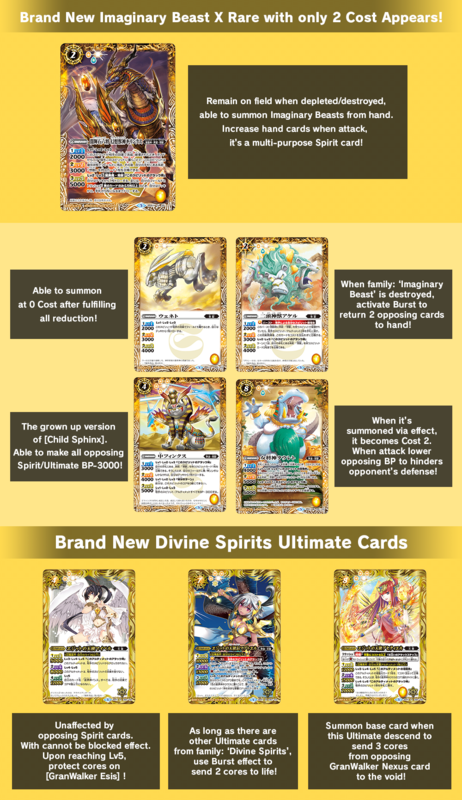 In addition to ‘Imaginary Beasts’, ‘Divine Spirits’ Ultimate cards have also been added to strengthen Divine Spirits deck! 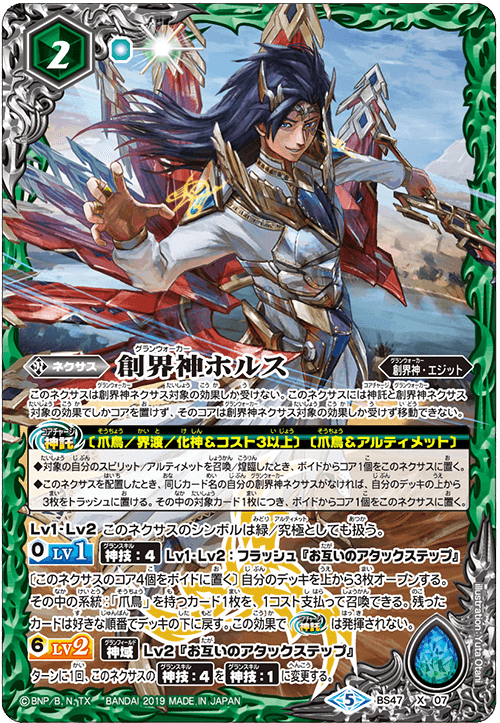 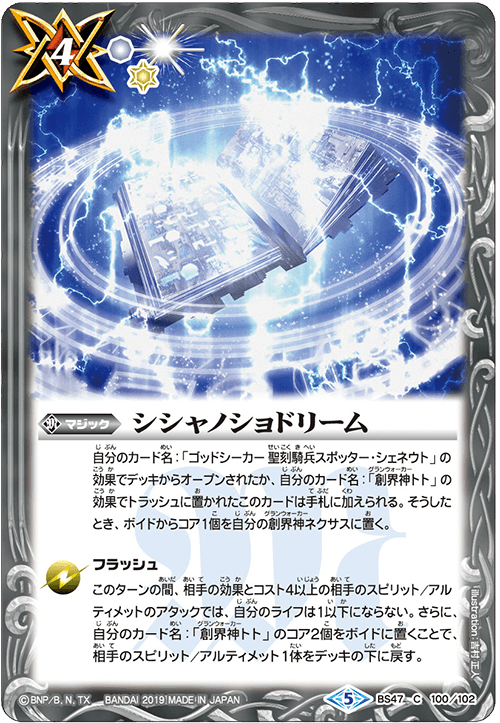 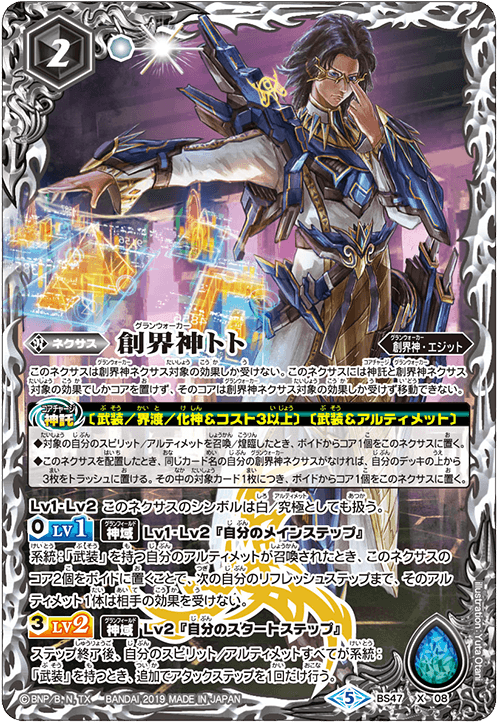 [GranWalker Thoth] is GranWalker Nexus card with effect which allows additional Attack Step at the end of Start Step! 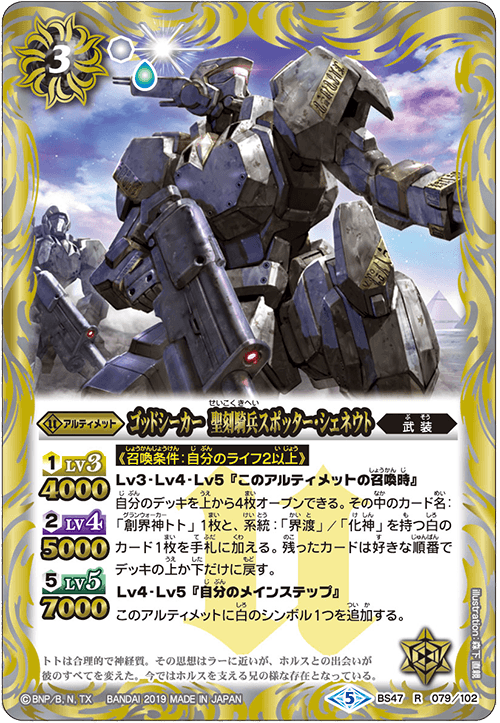 Build a deck with family: ‘Armed Machine’ only, to fulfill the activation condition. 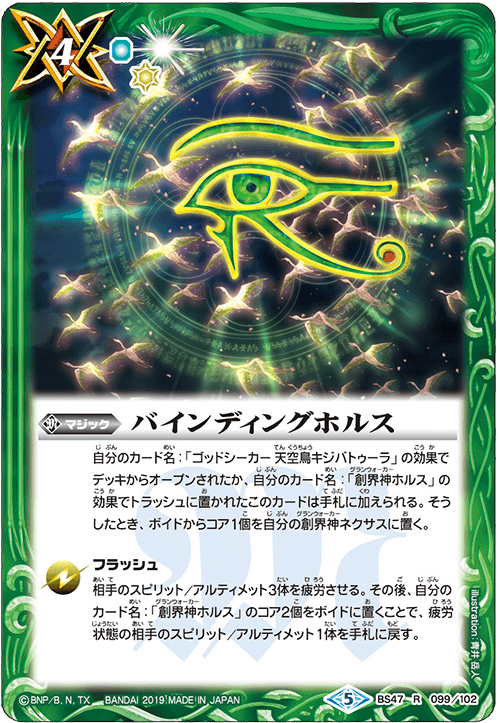 Combo with [Holy Glyph Machine God, Geoftick=Toto] which has effect to add Steps, use it to increase your own number of Steps to defeat the opponent! 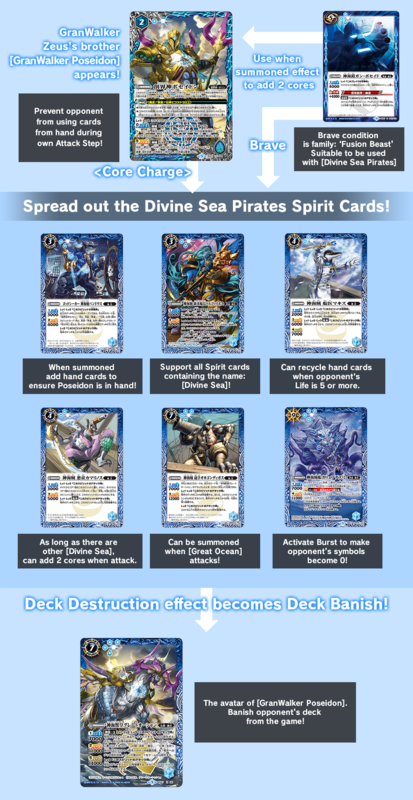 The specialty of [Divine Sea Pirates] is that when attack, they can make own symbols become 0. 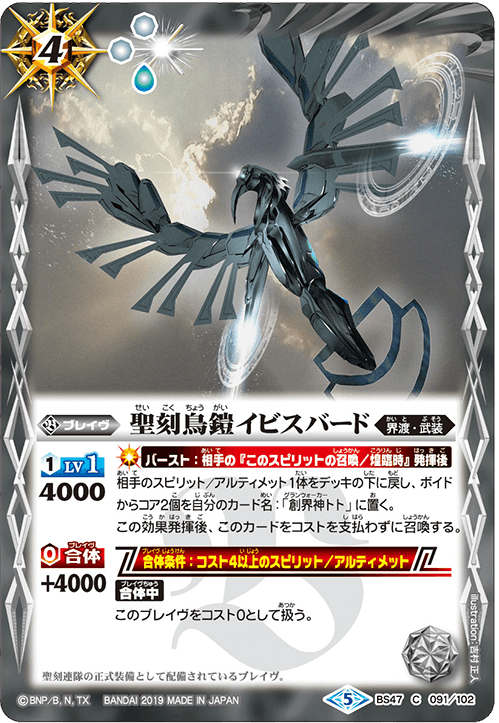 When symbol is 0, the advantage is to not provide opponent extra cores, and prevent ‘When Life is Reduced’ Burst being activated. 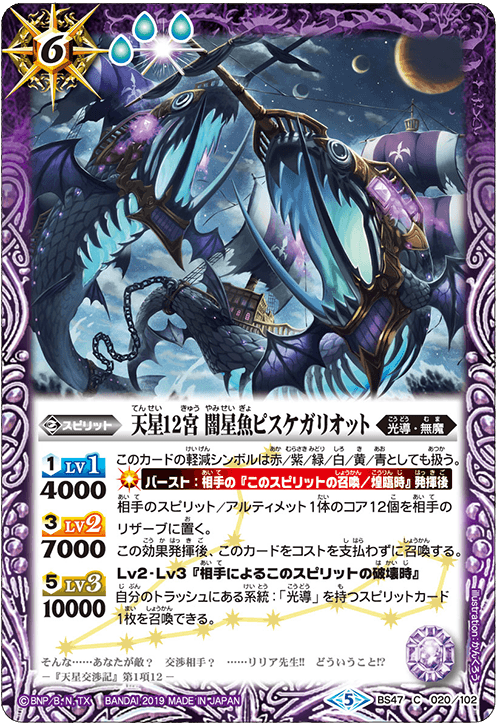 Discard decks with no worries! 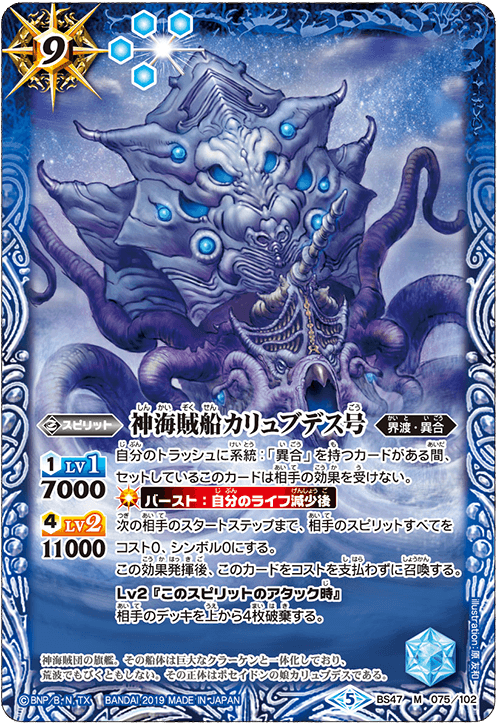 Both of Poseidon’s can be combo with [The Divine Sea Beast Emperor, Great Ocean] [Release], to reduce opponent’s deck! 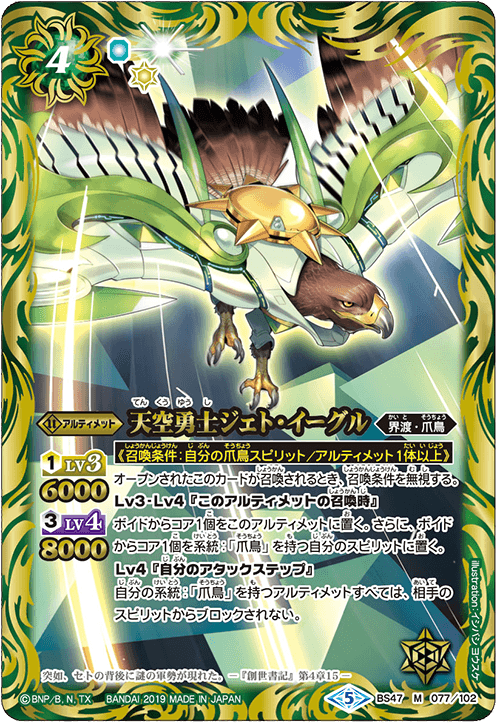 Winged Beast Army Soaring in the Sky! 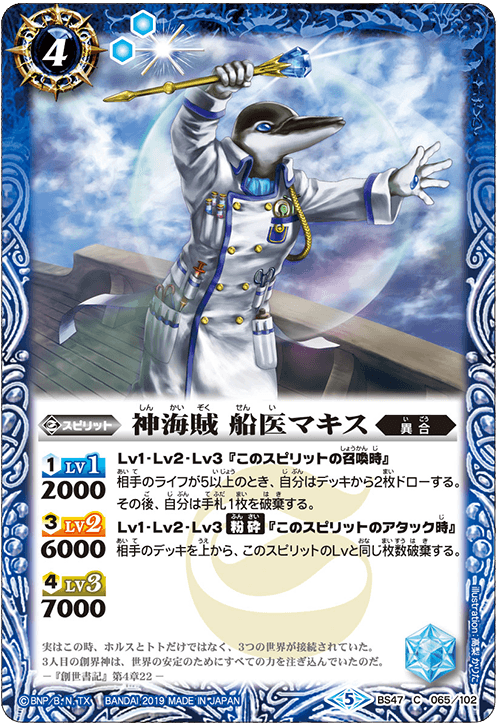 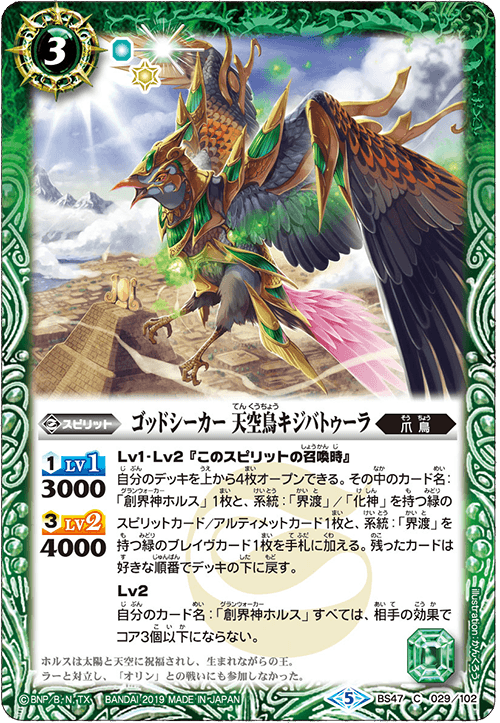 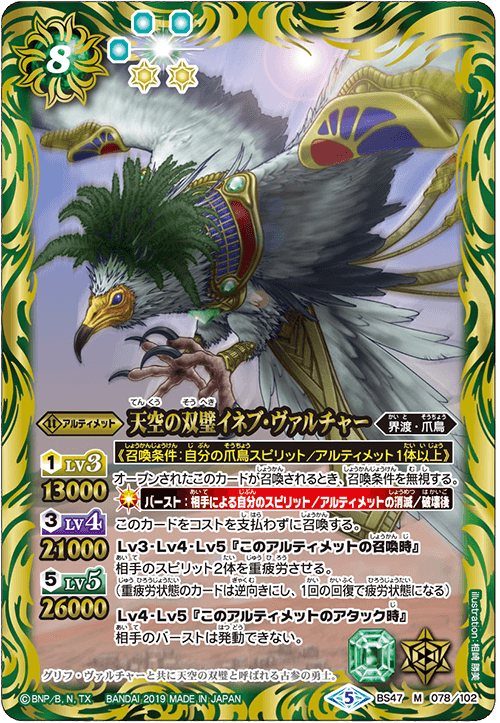 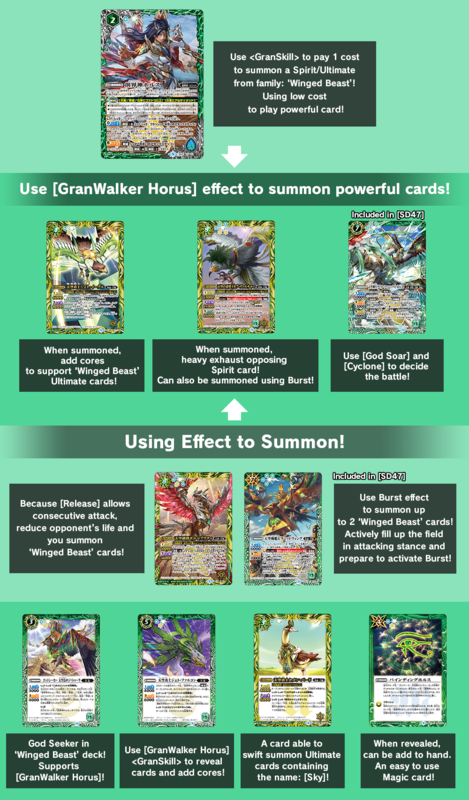 Try using [GranWalker Horus] and [The Sky Mythical Bird, Hol=Activ] effect to build a deck to greatly play out a large amount of ‘Winged Beast’ cards! 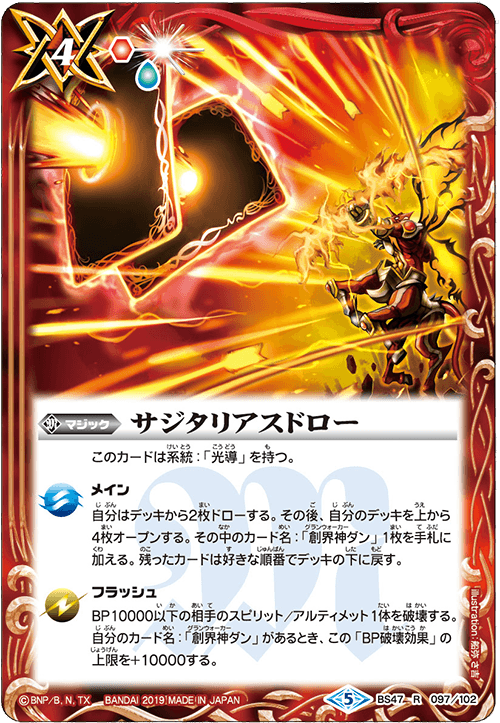 Heavy Exhaust opposing blocking cards, while attack relentlessly!